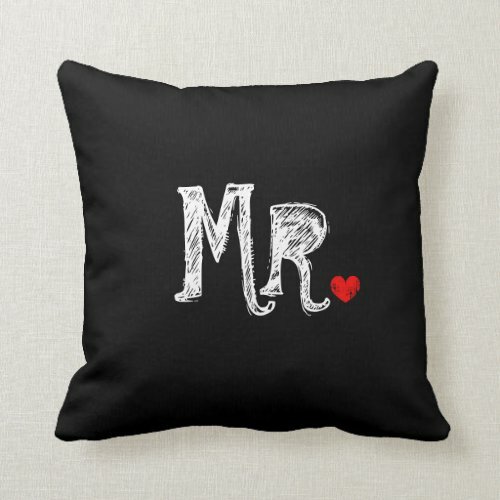 Black and white bedding sets are welcomed in nearly any bedroom color scheme. The patterns can be simple or intricate. 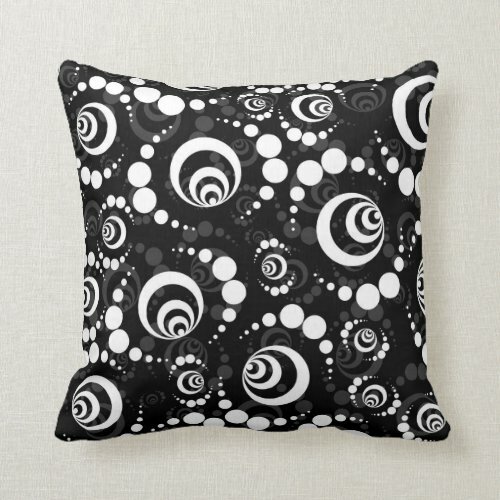 Black and white decor has always been quietly stated elegance. 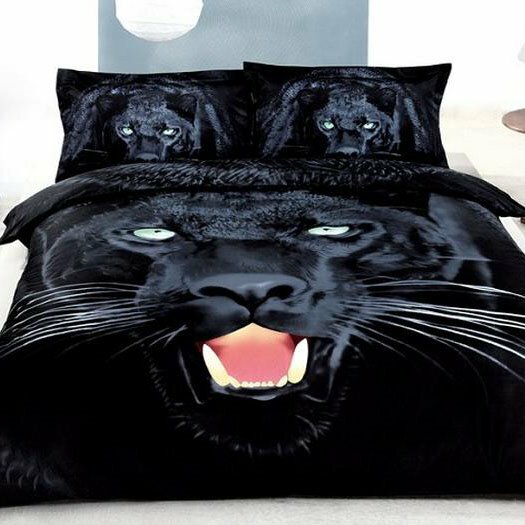 When your decor has this much charisma there is no reason to shout. 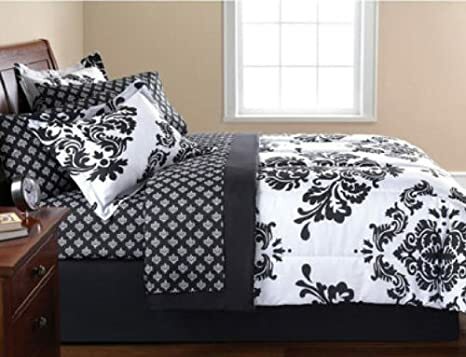 Some black and white bedding sets offer whimsical or dreamy patterns. You will find many that are quite beautiful in their formal style while others offer a luxurious cloud enticing you to lie upon them. Sometimes very crisp clean lines is what sets a bedroom apart from something just thrown together and one that has some thought applied. 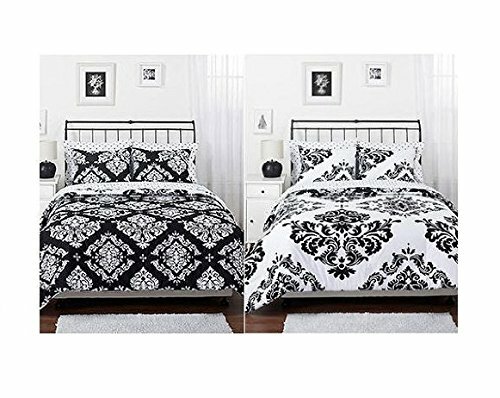 Make your lines have a purpose and these very beautiful and bold black and white bedding sets are remarkable and easily make the statement of what you are trying to accomplish in your bedroom decor. 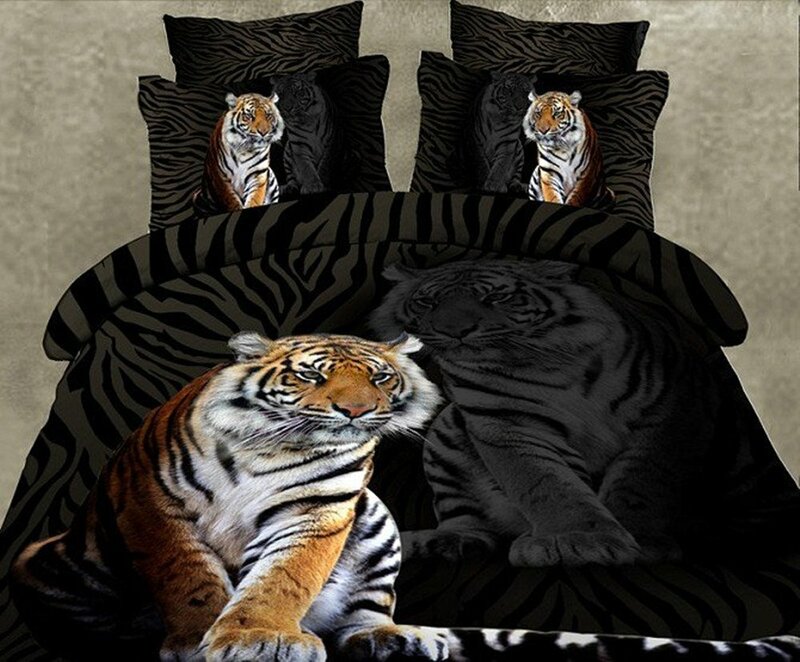 This is a stunning black and white bedding set that uses the stripes of a wild cat to create the popular black and white bedding. 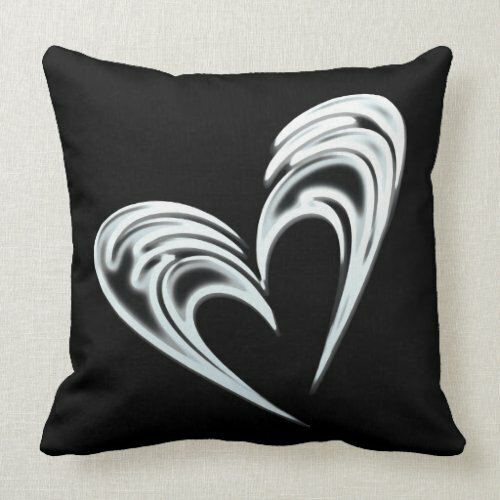 Easy to accessorize by adding a splash of color with throw pillows or window dressings, but you could also remain dramatic with black and white accessories. 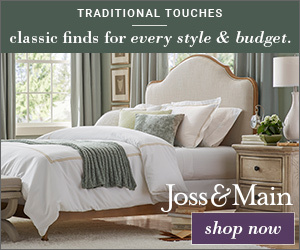 Is your personal space more formal or maybe even a bit old fashioned and graceful looking? Choose the perfect print to reflect your style. 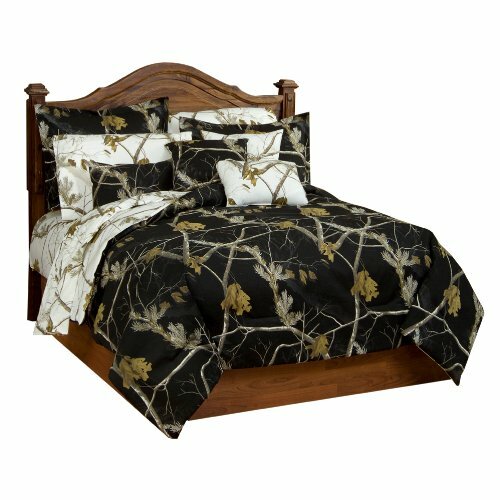 Once you have your bedding set chosen, look below and find the perfect throw pillows to accent the colors or mood of the room. Accent pillows or throw pillows can add just the right touch and even create a flirtatious ambience to an otherwise formal atmosphere. 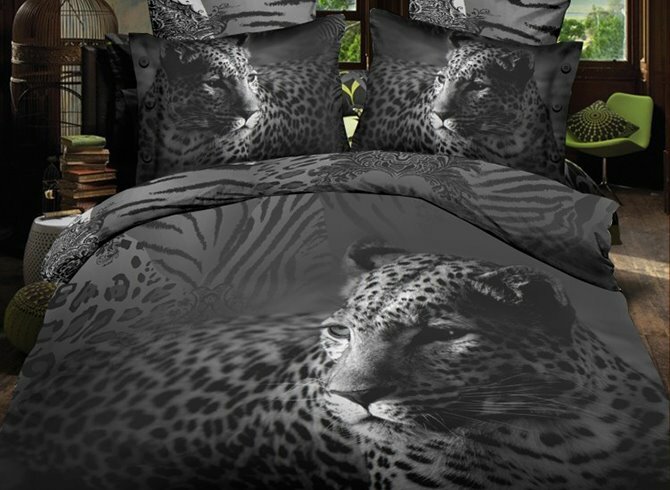 I have always loved black and white in the bedroom. You have given us lots to choose from. Thanks for the hard work. Keep it up!!! thanks! I love black and white too. Seems to be very popular with others as well.